Have you ever had a cup of coffee served by the roadside in a plastic glass? The material is too thin to provide insulation, so you grip the glass at the rim. But now it threatens to slip out of your hand because of the weight of the beverage. You tighten your grip to prevent slippage, but find the rim caving in from the pressure, and the hot coffee splashing onto your fingers and hand. You berate the vendor for not providing more sturdy containers, and he replies this is the best he can offer for ten rupees. The fountain Pepsi at PVR and other multiplexes, though, costs something like 85 rupees. Yet, the straws provided with the drink get thinner every year. There's a little circle at the centre of the lid, perforated so the straw can penetrate it with a measured thrust. Well, apparently 85 rupees no longer buys a straw thick enough to achieve that penetration. I complain to the guy at the counter, who snickers at says, "Sir, that's not the way". He reaches out, sticks a thumb through the lid's centre, retracts it and licks off the little cola that's adhered to the finger during the operation. The take-away spoons at Oven Fresh and Theobroma have adopted the same supermodel diet as the straws at PVR. They're too delicate to make a dent in the softest, moistest Dutch truffle pastry. By the time you give up and use your fingers instead, the spoons look like Uri Geller's had a go at them. The people at the counter are very generous with these cut-rate implements, throwing five or six into the bag with your order, when just a single proper spoon would be more useful. It's the Panipat-Plassey Principle, which Indians never fully learned: a lone well-armed, professional soldier is worth over a dozen farmers carrying spears. 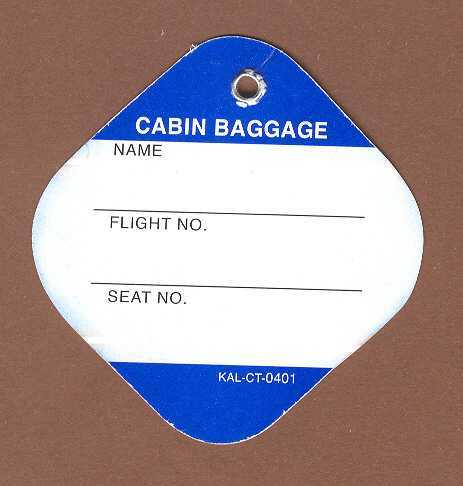 The flimsiness consequent to cost-cutting isn't restricted to food and drink; those who fly regularly must have noticed how fragile bag tags have become. The metal ring that used to fortify the paper has disappeared, and the elastic string is now a thread. This has happened at a time when security drills are ever more complicated. As you walk away from the pat-down, checking your boarding pass, keys and cellphone, and putting your laptop back in its case, the last thing you're going to notice is a band snapping, or paper being torn off as it brushes past a sharp corner. 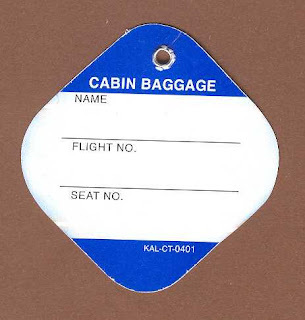 It won't be till you're at the gate waiting to board that a guard will point to the missing tag and send you back to the X-ray machine, potentially delaying the entire flight. So true, Girish. Couldn't help smiling though, at all the things that happen to us in modern times. Yup, Banno, airline routines, particularly, can get absurd enough to be funny.